I had the opportunity to meet Tom Castelloe at the North Carolina Recreational Therapy Association (NCRTA) conference. 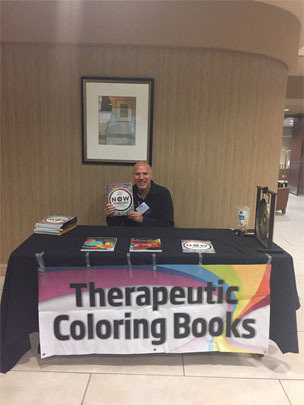 He has created stress relief coloring books. I purchased one called, The Now: Coloring Book: Guided Meditations for Stress Relief and Healing. I picked this one because each sheet has a meditation with it.